A refreshed instrument cluster and new steering wheel is placed. It comes with a dual cockpit design. No petrol variant available for the car. Fit and Finish is not so good. Safety Features are not upto the mark. 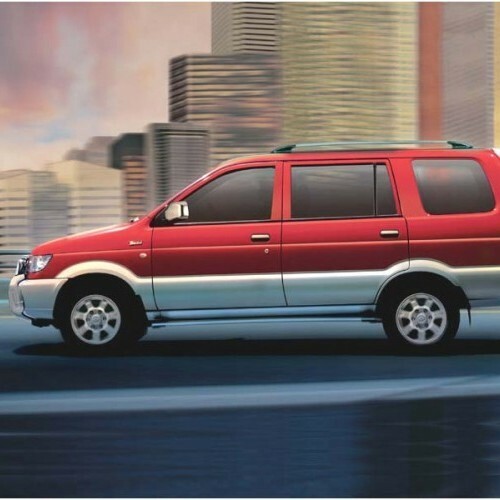 Tavera Neo 3, nothing but the updated Tavera MPV of Chevrolet was launched in February 2012 soon after the Auto Expo. The Tavera Neo 3 is available only in diesel version with two engine options including an all new 2.0-litre ICML-Sonalika sourced 105bhp CRDI BSIV motor and a 2.5-litre Direct Injection Turbo Diesel BSIII engine delivering 80PS and 186Nm of peak power and torque respectively. The interior feature highlights of the MPV include the new Chevrolet dual cockpit design, 3 spoke steering wheel with power steering and new corvette inspired cluster design with icy blue illumination. The other styling updates of Tavera Neo 3 include new headlamps, updated grille and bumpers, reprofiled taillamps, new Chevrolet bowtie emblem In front and rear, dual tone color combination, extra chrome finish and aggressive alloy wheels. The BSIV variant is available at an ex-showroom price of Rs.10.26 lakhs while the BSIII variant is available at Rs.6.72 lakhs. Chevrolet Tavera is available in 21 variants. View below listing of variants based on their fuel type. Upcoming variants of Tavera are also listed here. * Prices of Chevrolet Tavera car indicated here are ex-showroom price not the on road price of Tavera. Price list is subject to change and for the latest Chevrolet Tavera India prices, submit your details at the booking form available at the top, so that our sales team will get back to you. Chevrolet Tavera mileage mentioned here is based on ARAI test drive and not from Tavera review by vicky team. 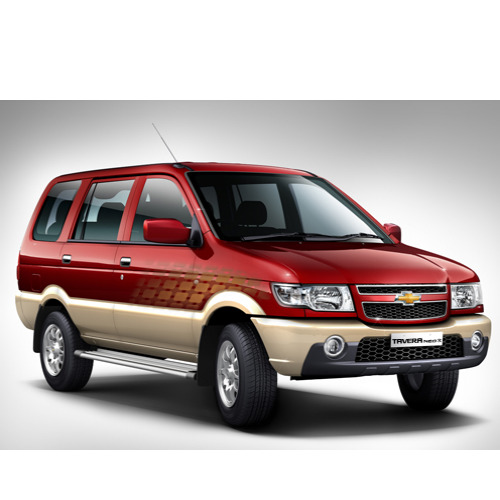 "The prime specs of Chevrolet Tavera are listed here. The overall length, width of the car should give you an idea about parking space it require. The ground clearance (lowest part of the car to the ground) will give you the measure of water wading capability and confidence of Tavera's capability to run over potholes and speed breakers. However GC (ground clearance) won't tell everything. Other important factors like approach angle, breakover angle and departure angle is required to assess the cars' ability to run in rained indian roads and light off road tracks.Engine specs of Tavera are also listed here. With the power (in bhp) and torque (Nm) figures the most important ratios - power to weight ratio of Tavera and torque to weight ratio. The displacement (in cc) is the measure of cubic capacity of the engine. Earlier there was a notion, larger engines produce more power and torque however with the invention of advanced technologies this is no longer true." 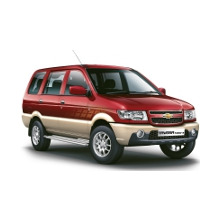 Find your favourite Chevrolet Tavera car features list. While power windows, power steering and central locking are considered prime convenience features, the presence of safety features such as abs and airbags will give the necessary safety for the Tavera occupants. Alloy wheels is something everyone would love to boast about. I have gone through various cars test drive such as Tata Safari, Mahindra Scorpio and many more. Comparing to other cars in this segment, I found Chevrolet Tavera Neo 3 is best. I love the car exclusively for its spacious cabin and it is totally different for me. Those who want to try a different car, Chevrolet Tavera Neo 3 would be best suited. 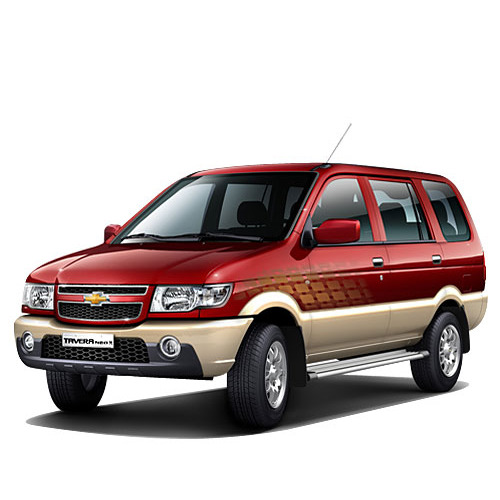 The Chevrolet Tavera Neo 3 is really good to drive and it is very very very comfortable. It is a solid build car and it is not so bulky compared to other cars in this segment. The Tavera Neo 3 is excellent for turning radius and fuel efficiency. So, the vehicle is totally the best in its class.